SRA's DISTAR is one of the most successful beginning reading programs available to schools. Research has proven that children taught by the DISTAR method outperform their peers. Now, this program has been adapted for use at home. In only 20 minutes a day, this remarkable step-by-step program teaches your child to read—with the love, care, and joy only a parent and child cane share. SRAs DISTAR(R) is the most successful beginning reading program available to schools across the country. Research has proven that children taught by the DISTAR(R) method outperform their peers who receive instruction from other programs. Now for the first time, this program has been adapted for parent and child to use at home. "Teach Your Child to Read in 100 Easy Lessons" is a complete, step-by-step program that shows patents simply and clearly how to teach their children to read. Twenty minutes a day is all you need, and within 100 teaching days your child will be reading on a solid second-grade reading level. It's a sensible, easy-to-follow, and enjoyable way to help your child gain the essential skills of reading. Everything you need is here — no paste, no scissors, no flash cards, no complicated directions — just you and your child learning together. One hundred lessons, fully illustrated and color-coded for clarity, give your child the basic and more advanced skills needed to become a good reader. 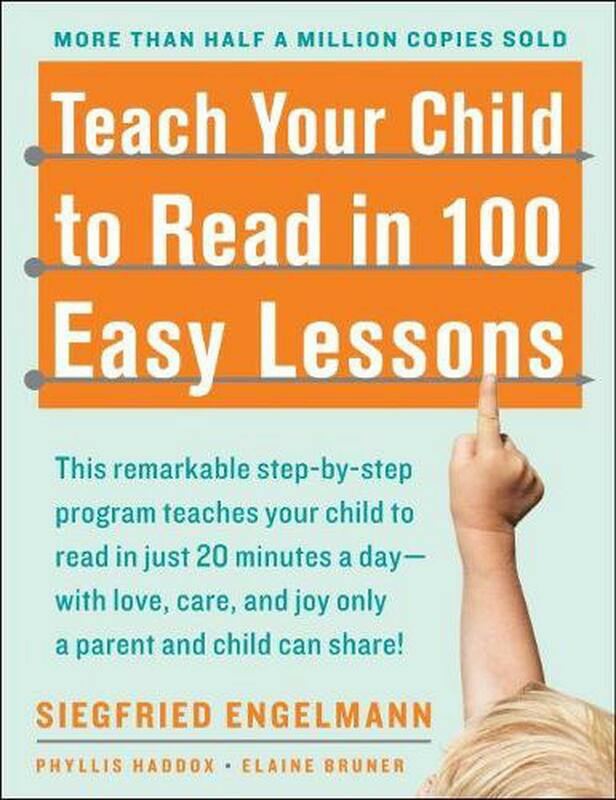 "Teach Your Child to Read in 100 Easy Lessons" will bring you and your child closer together, while giving your child the reading skills needed now, for a better chance at tomorrow. Siegfried Engelmann is a professor of education at the University of Oregon, and has written many books on teaching, including "Give Your Child a Superior Mind." He is the originator of Direct Instruction, the most successful approach to teaching, and he has developed more than thirty direct instruction programs. He has provided teaching demonstrations with a wide range of children -- consistently showing that they could learn much more than had been achieved with traditional teaching. Easy to use, all inclusive, and no prep. You just need a small notebook for child to write their letters in for each lesson.